Added support for scatter plots (arbitrary X values) --- toggle the new "X Values" input to the Kineme Chart Data: XY patch, and provide X and Y values in a structure of keys and values or of ordered pairs. Added a sample composition for scatter plots. 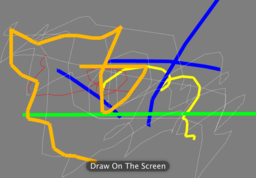 Added "Margin" input to the Kineme Chart Renderer patch. 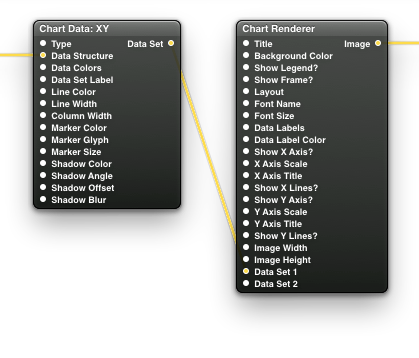 Added "Marker Font" and "Custom Glyph" inputs to the Kineme Chart Data: XY patch. Improved performance of the Kineme Chart Renderer patch. Fixed Kineme Chart Renderer patch so that the chart image changes when a data set is removed. Removed question marks from Kineme Chart Renderer patch inputs. 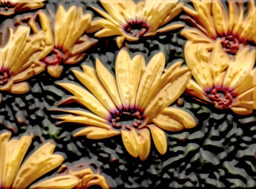 This is a mix of a height field from mask with emboss filter, with a blend mode that adds color of the source back in. I've used this extensively for a long time, and thought it might be useful to post. 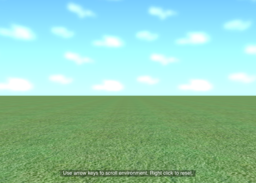 This is a simple particle tools scene that makes something that looks like a rain fall. I've used it when wanting a scene to look like there is some rain going on somewhere; it doesn't seem especially taxing on my laptop. Edit: If running with Snow Leopard, QC should be run in 32 bit mode. Do this by finding your Quartz Composer app in the Developer folder, performing a "get info", and checking off 32 bit mode. Added support for multiple senders and receivers within a composition, operating on different universes and subnets. Fixed license validation issues when used in 64-bit mode under Snow Leopard. Chained Hexagonal Pixellate CoreImage filters with not-quite-synchronized Interpolation behaving in a vaguely-fractal-like manner. I'm posting this to show how to do "line structure" style drawing with all stock patches. This has some provisions for color and thickness as well, so you can have lines of differing color and weight on screen at the same time. 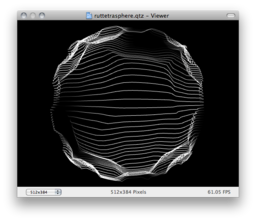 A quick example of using GLSL to warp the output of v002 Rutt Etra to a spherical shape. The Kineme ChartTools plugin provides support for rendering charts in Quartz Composer. 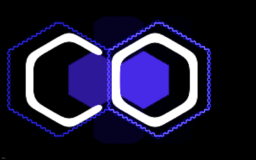 Based on Apple's GraphKit framework. Download the 7-day trial below, or buy a license now. Please download the trial and make sure it meets your needs before purchasing. Due to bugs in Apple's Quartz Composer framework, we cannot guarantee that Kineme plugins will work properly on Mac OS 10.8 and above. Our focus has shifted to developing Vuo.